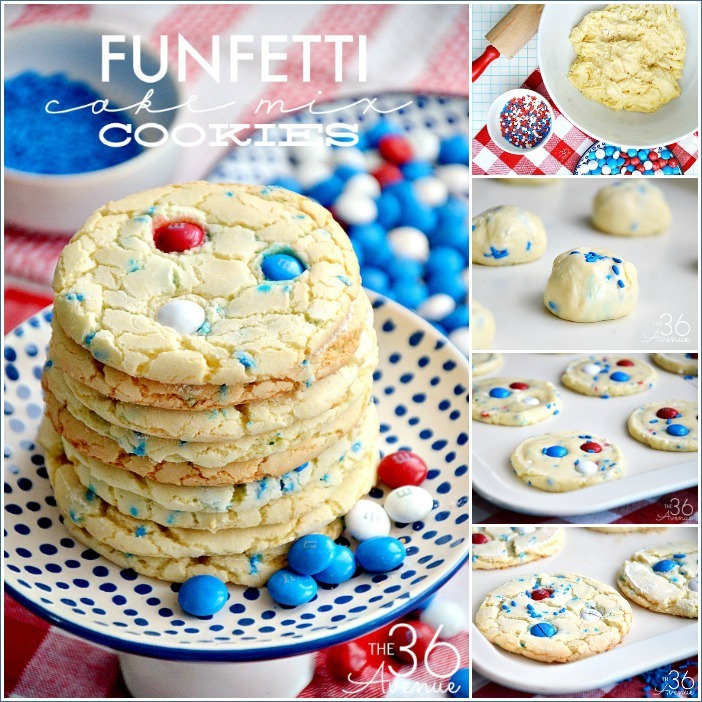 Today’s recipe is perfect for Memorial Day and the Fourth of July. We love homemade cookies especially warm right from the oven. The best part about these Cake Mix Cookies is that they are super easy to make and you need just a few ingredients. 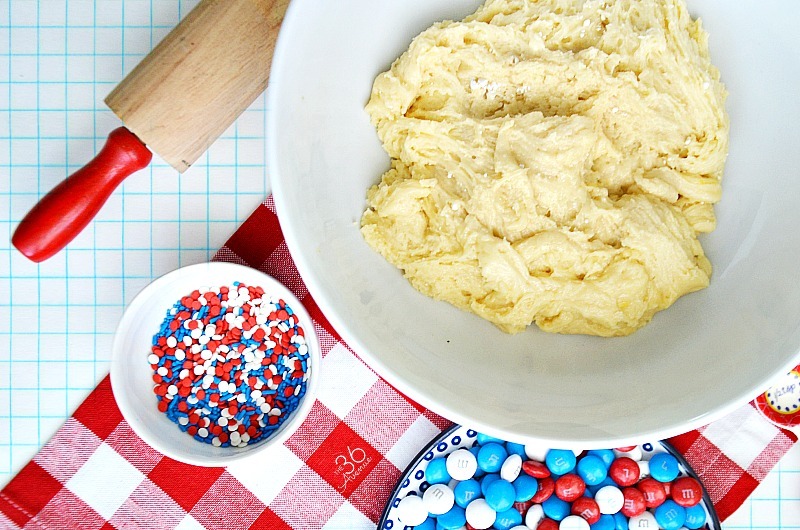 This patriotic treat is colorful, yummy, and perfect to celebrate in red, white, and blue style! Instead of following the instruction on the cake mix box combine the dry cake mix powder, 1/3 cup oil and 2 eggs together. Shape dough into 1″ balls. Place them about 2″ apart on ungreased cookie sheets. 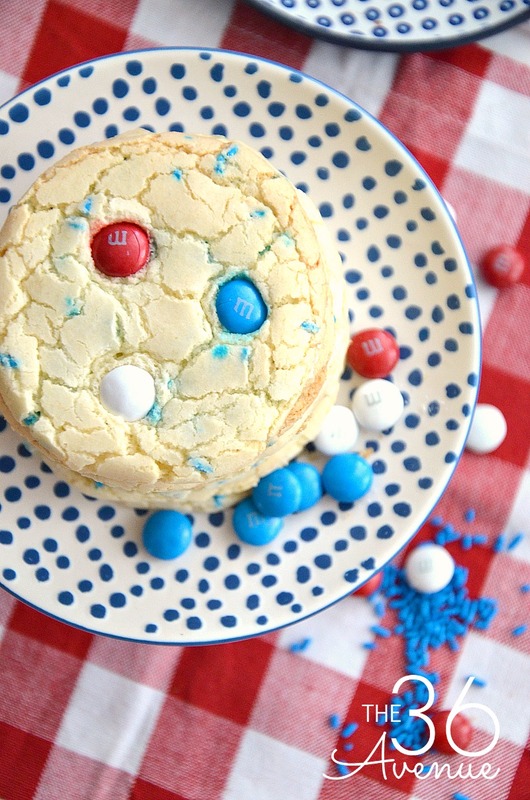 Gently press three to four M&Ms on top of each cookie. Don’t forget to bring some to your neighbors… They are going to love you! 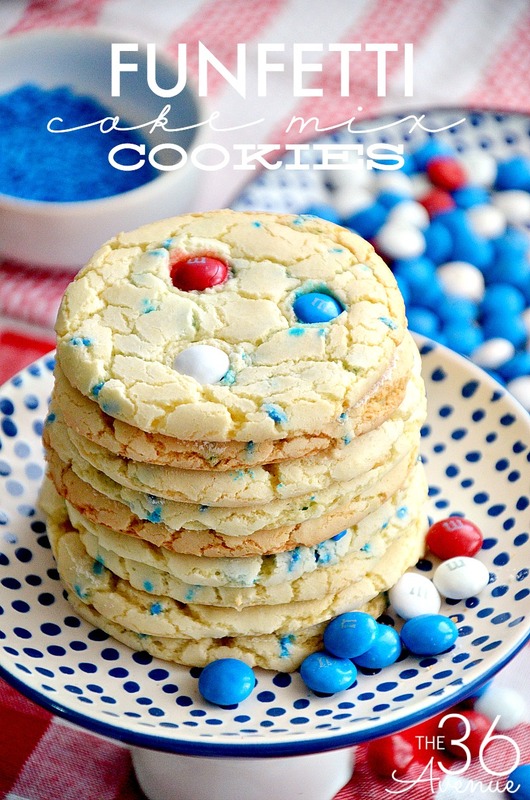 Here are some other Patriotic Recipes and Ideas that we love! Thank you so much for visiting… Wishing you all a fantastic day! Thank you so much for stopping by and happy birthday to your daughter!